There’s been a lot of debate on what’s needed to help propel healthcare forward, and to find ways to more effectively leverage data to improve outcomes and consumer engagement. If you ask Ed Marx, he believes what we need are more double black diamond skiers. By that, he means leaders who are willing to venture out of “safe zones” and take risks. And it’s not just talk — Marx recently took on the role of CIO at Cleveland Clinic, knowing that the organization had plans to move to a “completely agile environment.” Despite having little experience in the space, he accepted the challenge, much as he has done in previous roles. 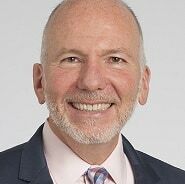 In this interview, Marx talks about his first few months at Cleveland Clinic and why he chose to “hit the ground listening,” and the key priorities on his plate. He also talks about what he learned by working in the public health realm, the value of “reverse mentoring,” and his approach when taking on a new position. It’s always good to know what you’re getting into, but at the same time, if you shy away from challenges, you can’t grow. The only way to improve as a leader and as a person is to be willing to take risks. Believe in one another, because the strength of the team is what’s going to lead to the strength of the organization. It does no one any good if we have one strong domain and six weak ones. We want to make sure everyone is strong. It’s about failing often and failing fast — obviously, not in areas that involve patient care and patient safety, but in terms of how we operate and how we work. It’s about trying new things, taking calculated risks, and working closer with the customer. It’s about self-directed teams. Diversity is really important. You want to expose yourself to different ideas, different cultures, and different ways of doing things, because that’s how you learn. You learn there’s a better way to do things. Gamble: When you took on the role with NYC Health and Hospitals, did you know what to expect going in? Marx: In some ways, yes. It’s always good to know what you’re getting into, but at the same time, if you shy away from challenges, you can’t grow. The only way to improve as a leader and as a person is to be willing to take risks. I’ll use skiing as an example. If you stay on the green runs, which are the easy runs, that’s fine. You can get a lot of satisfaction from that. But at some point, you really want to try some blue runs and test yourself. It’s the only way to get better. And then of course there are black diamonds and double diamonds, but you have to determine what your risk tolerance is. And I know it’s different for everyone — we don’t all have to ski the double black diamond. But if you stay in the safe zone, that’s not challenging. I think where we need a lot of help in this industry is with those difficult runs. Hopefully there are many people who are willing to do that, because that’s what we need. Gamble: I agree. Let’s get more into your leadership philosophy. I read the blog in which you talked about the new math in leadership, and I found it to be really interesting. Can you talk about what this means and how you’ve incorporated it into your role? Marx: Sure. I always write about things that are current. As we were forming our team and deciding what kind of team we wanted to be and what were the prerequisites for individuals who wanted to be part of it, I thought a lot about new math. It’s a different way of operating. It’s about putting yourself last, and the organization first. It’s putting your own individual agenda last and putting the team’s agenda first. I have an equation hanging up in my office which says, stat is greater than domain. We are switching the way we operate to become a completely agile environment, meaning we’re reorganizing into what I call domains. Stat (which is the name of my team) is greater than domain. What it means is the team is more important than any individual. Don’t fall in love with your domain — fall in love with one another and believe in one another, because the strength of the team is what’s going to lead to the strength of the organization. It does no one any good if we have one strong domain and six weak ones. We want to make sure everyone is strong. That happens when the team views itself as their most important asset. Gamble: Let’s talk more about the effort to switch to an agile environment. Is this something you’ve done in past organizations? Marx: I was familiar with agile in terms of software development and project management, both at Texas Health and at NYC Health and Hospitals. Our project management office ran on an agile basis. I knew that some of the Silicon Valley companies strictly run on agile platforms — they were created that way. Prior to my arrival at the Cleveland Clinic, my team had been talking about moving to agile. I didn’t know too much about it, but I love learning. I think you always have to be in learning mode. And so when my team said they thought it would be a good strategy for the organization, I said, ‘I’m in.’ I wasn’t going to come in and change it, or stop it. We’re a few months into a process that’s going to take a year. We’re doing it in two-week iterations until we get it right. And, like pretty much anything, it’s about failing often and failing fast — obviously, not in areas that involve patient care and patient safety, but in terms of how we operate and how we work. It’s about trying new things, taking calculated risks, and working closer with the customer. It’s about self-directed teams. When you think about it, hierarchies flatten an organization. When you’re agile, you can move quicker, more efficiently. There are domains like product managers and business relationship managers that are almost self-functioning in that you don’t necessarily need a large project management office over all of IT to get things done. If we execute agile correctly, a domain will follow a standard practice across the board. But in order to streamline things and be more efficient, they’ll have their own project managers. That’s just one example. So they’ll be able to be more nimble and more responsive to the customer. It’s all about creating close relationships with the customer — trying new things and failing fast so can improve on it. It’s a mentality of continuously improving. It’s positive, not punitive. We’re excited about the potential this offers. Gamble: And customer service is at the core of it, as with most initiatives. Marx: Absolutely. You want to be as approachable to the customer as you can be. This allows you to organize yourself around that core principle. Gamble: One of the things you touched on earlier is reverse mentoring. What do you think leaders can learn from younger generations — people who view (and use) technology in different ways? Marx: I think it’s vital that you surround yourself with diversity, whether it’s age, religion, or whatever background. Diversity is really important. You want to expose yourself to different ideas, different cultures, and different ways of doing things, because that’s how you learn. You learn there’s a better way to do things. I just read a book called Blind Spot where you give yourself tests. You might think you don’t have that many blind spots, but then you take these pretty simple, yet profound tests, and you find out you have a lot of blind spots. Now when I walk around, I know that have blind spots. You never want to believe that your way of thinking is the right way, all the time. You want to listen to these different voices. That’s why I’m a big proponent of reverse mentoring. I always have a mentor. Every other year, I engage in a formal mentor relationship. One year while I was at Texas Health, I picked someone younger. This person was an analyst, and he taught me a lot. He helped me with technology, he helped me connect some dots, and he helped me understand how his peer group was thinking, how they operated, how they liked to be rewarded, and how they like to be engaged. I really learned a lot, and I recommend that any leader try that. Gamble: You’ve spoken in the past about grooming the next generation of leaders. How are you working to do that? Marx: It is so important to develop a leadership and talent pipeline. Now, I don’t want to come into any organization and try to replicate what I did somewhere else, but in this case, I felt like the right thing to do. So we’re working with local community colleges and universities to create internship programs. And I’m talking not just like one or two people. I’m talking about having a people at any given time, so that you have a pipeline. The idea is to hire them during their junior year, and they’ll work for us part-time during the school year, and full-time on breaks. They rotate through the organization, and in their second year, they choose an area of specialization. Then when they get to close to graduating, you can have a discussion. It may not be the right fit — either for them or the organization, but in my experience, I’ve seen about a 50 percent retention rate. And it’s great because they’re young and they have a lot of new ideas, and you infuse them with people who are more mature. As a result, everyone learns. We have to embrace the younger generations and make them part of our teams. It’s so important to engage at these levels so that we can learn and improve, and we can also start grooming the next generation of leaders. I believe the number one or two requirement for any leader is that you have to replicate yourself. We’ve also developed a business technology leadership academy. It’s a very select program that only takes six or seven students per year. We’ll choose someone at the director level and at the manager level, and we’ll also include analysts. We try to hit every age group. We’re investing in them. We’re giving them this incredible training opportunity. We’re constantly developing that next generation of leaders, for all the reasons we’ve talked about. Gamble: Very interesting. One thing I also wanted to ask was about the move to Cleveland — how did your family adapt? Marx: I actually had lived here before. 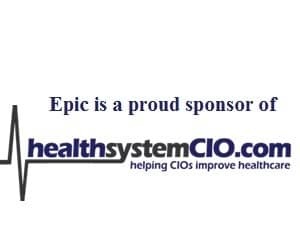 I was at University Hospitals for about eight years (four as deputy CIO and corporate director, then four as CIO], and so I knew coming in what to expect. I knew it wasn’t going to be warm weather year-round. It’s really just adjusting your frame of mind. I’m embracing the four seasons, which is different from my previous experience. When I lived in Cleveland the first time, I loathed wintertime. This time, I decided I’m going to enjoy it. Recently, a group of us were downtown with our spouses, and it was two degrees. We said, ‘Isn’t this cool? You could never do this in Dallas. You can never do this in Florida.’ The key is to look at this from an optimistic viewpoint. It can make a heck of a difference. Gamble: Very true. It’s all about your frame of mind. Well, I know we should wrap up, but thank again for taking some time to chat. It’s always a pleasure speaking with you. Marx: Likewise. It’s always good to connect. Thank you.